Here in Nara, Japan, the fertile land and clear water nature Chinese cabbage with high quality. 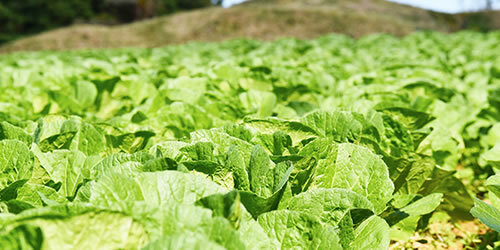 In growing the Chinese cabbage, we put our affection to these vegetables, and that is also one part of the recipe. 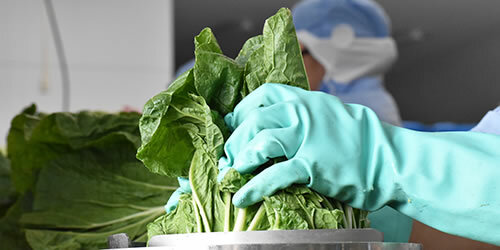 We can do a good job on processing the Chinese cabbage, taking full advantage of our professional skills. Whether the leaves are tightly winded, or whether have they grown to a satisfying weight, we check these vegetables carefully every year when it comes to harvest. 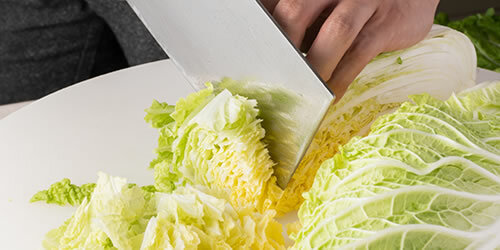 Fresh Chinese cabbage has a fresh cut surface, of course. As for the selection of Chinese cabbage, we are constantly pursuing the one that matches the best with our original soup base. These vegetables are supposed to be cut and processed with enough care, in order to keep its fiber complete, and also to keep the pieces in a coordinated order for the best taste.